The space-saving capacity and lightweight design of our nestable plastic pallets combine to reduce shipping costs/trip producing a quick ROI. Durable, reusable, twin-sheet thermoformed pallets and tops have a ten-year life expectancy ranging between 50 – 100 plus trips. 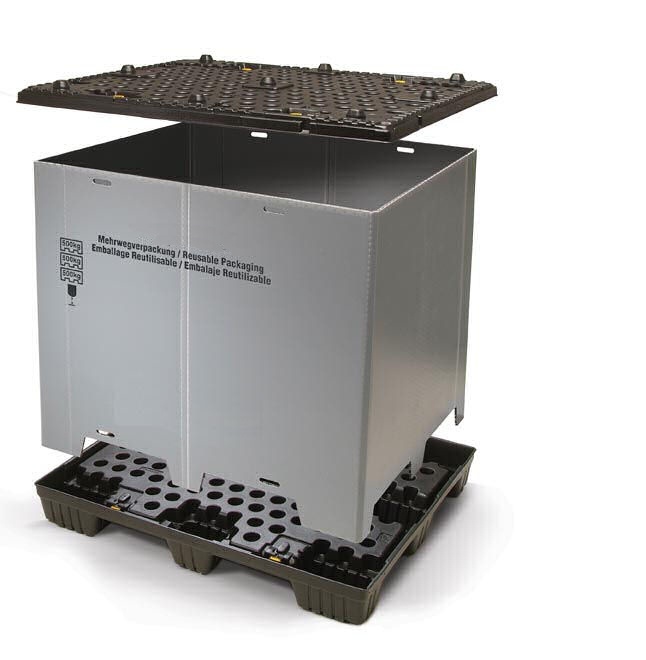 Designed specifically to cope with automated handling abuses, our rackable/stackable Uni-Pallet is rackable to 1,000 Kg. Environmentally-friendly, reusable and recyclable at end of useful life, these pallets are a green alternative to wood. 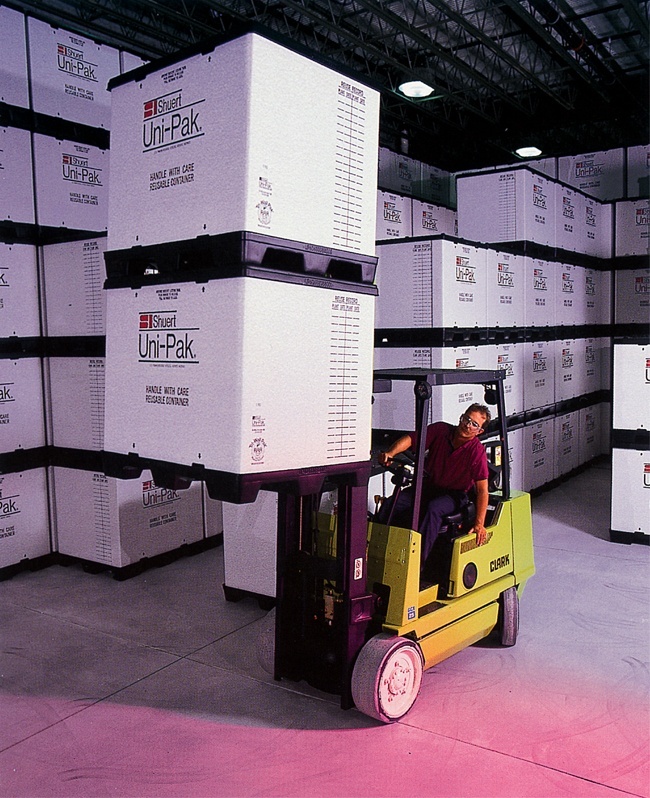 Conitex Sonoco is an authorized distributor of Shuert’s plastic Uni-Pallet Systems. These lightweight pallets perform all the functions of the wooden pallet without product damage, frequent/ costly repairs, and wood disposal. 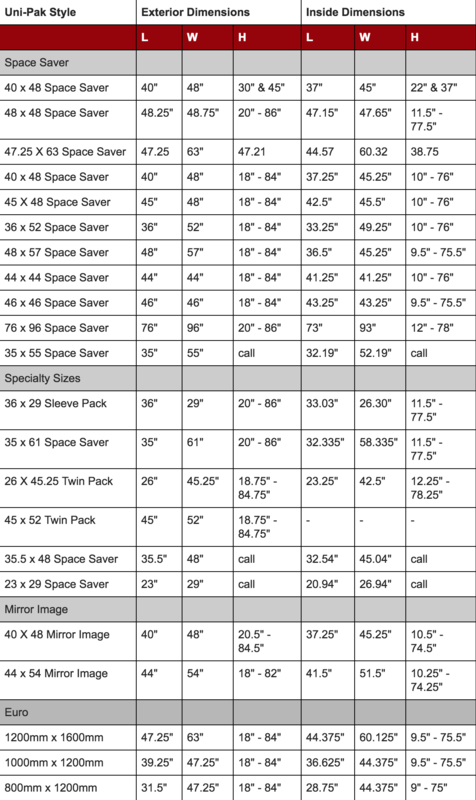 Along with strength and durability the space-saving capacity and lightweight design combine to reduce your shipping costs. 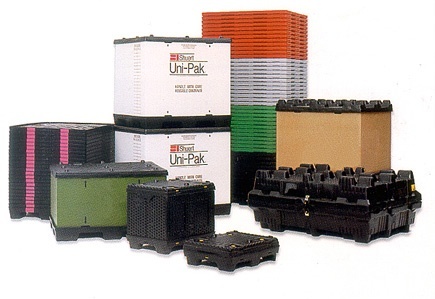 Conitex Sonoco is an authorized distributor for Shuert’s Uni-Pak Plastic Pallet System. Space-efficient, pallets and tops are nestable as well as reusable and the sleeves are collapsible, yielding improved warehouse utilization and reducing freight costs. Ergonomically-friendly, Uni-Paks are easy to assemble and disassemble. One container, one person, one minute. Our slide-lock eliminates the need for costly and time-consuming strapping and stretch wrapping systems. Personalized printing of sleeve and embossing of top and pallet is optional. Available in triple wall corrugated fiber-board sleeve or plastic sleeve.